For over 30 years, the Wyoming Art Show (WAS) has made investments in the arts and in the community of Wyoming. 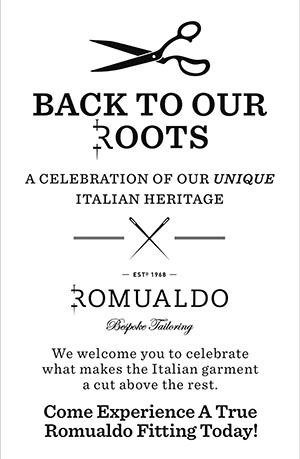 The highlight, of course, has always been the Show held each May. The Show welcomes community members to peruse juried works of art and browse student works from all three levels of Wyoming City Schools. Each year, hundreds of dollars of scholarships are awarded to seniors of Wyoming High School who enter and display their work at the Show. WAS also hosts the ever-popular Imagination Station, where the youngest Wyoming community members can try their hand at a different art project each year, have their faces painted, and create a theme related t-shirt. 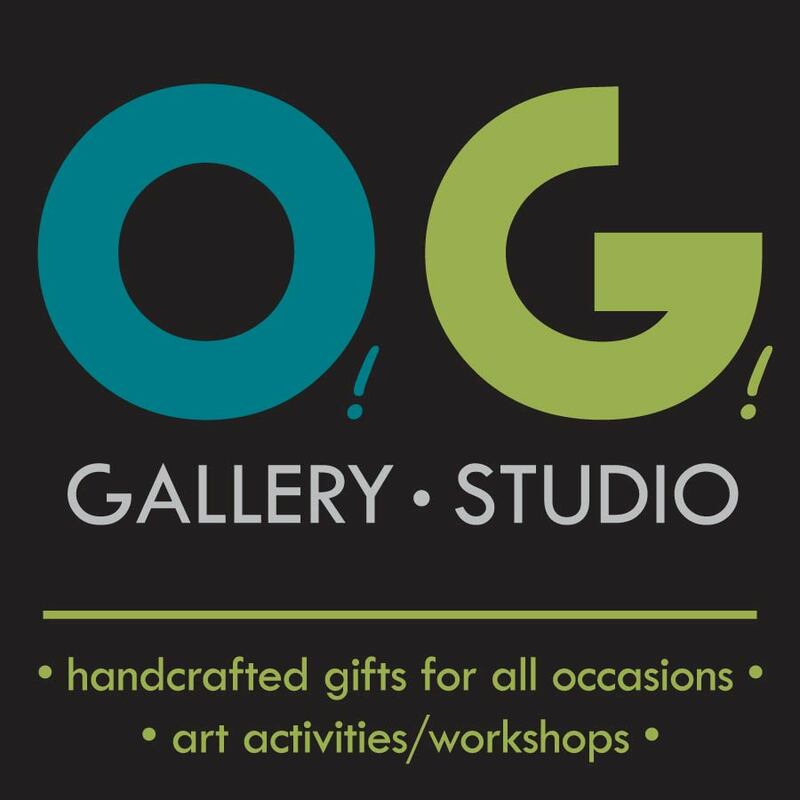 Beyond the spring Show, the all-volunteer Art Show committee continues to promote art in benefit of the community with proceeds generated from the Show. 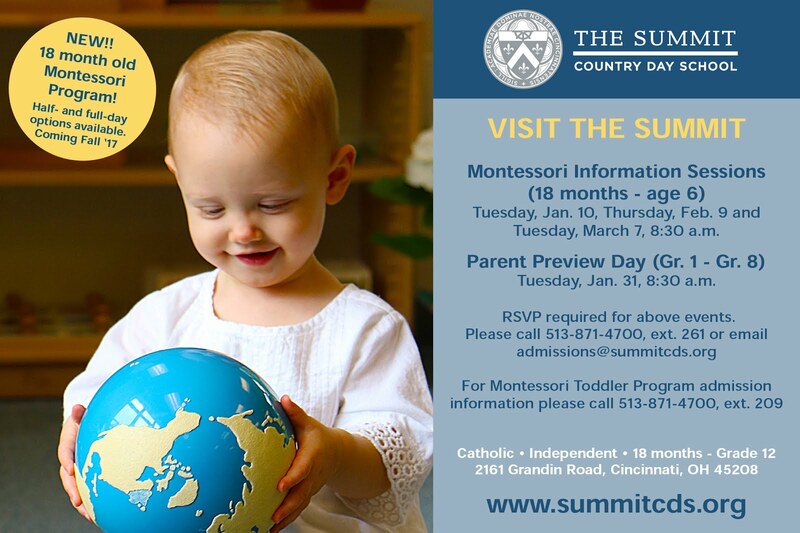 The WAS has supported numerous projects over the years, particularly benefiting the arts programs in Wyoming City Schools. The Wyoming Middle School has been gifted with display boards, art equipment, and more than one genre of Artist In Residence programs. 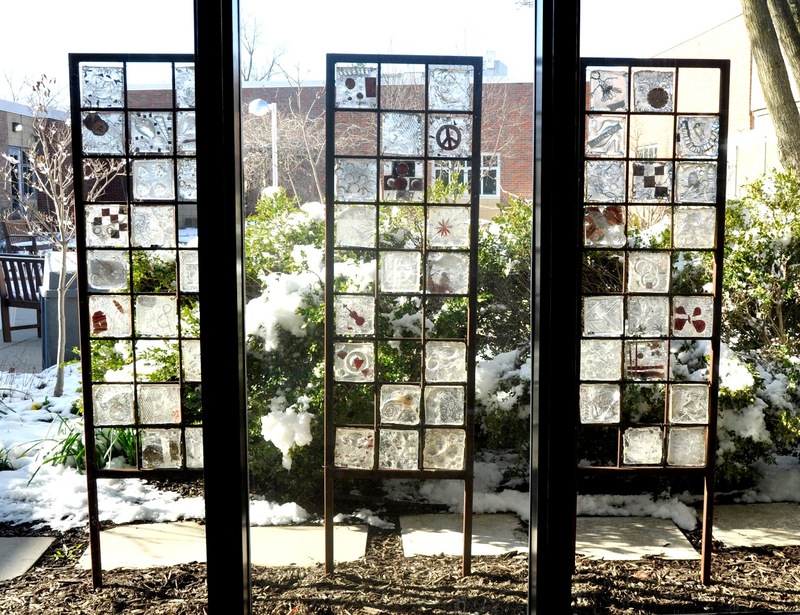 At Wyoming High School (WHS), money was donated to provide the students an opportunity to create a glass sculpture to adorn an outdoor venue at WHS. Additionally, WAS has become a sponsor of the annual Senior Arts Reception along with the Wyoming School Music Association for graduating art, music, and theatre students. To encourage young artists beyond our borders, WAS has provided much needed financial assistance to the struggling arts program at Lockland City Schools. Funds provided were used toward materials and experiences for a wide range of student art activities. Additionally, WAS has invested in Community art. Wyoming Art Show commissioned a permanent statue of a young girl, located at the Wyoming branch of the Hamilton County Public Library. The statue, “Elena,” honors the memory of Elena Desserich and embodies the love of learning so valued in our community. One of WAS’s latest projects, The Windows of Wyoming, came to life this past summer. 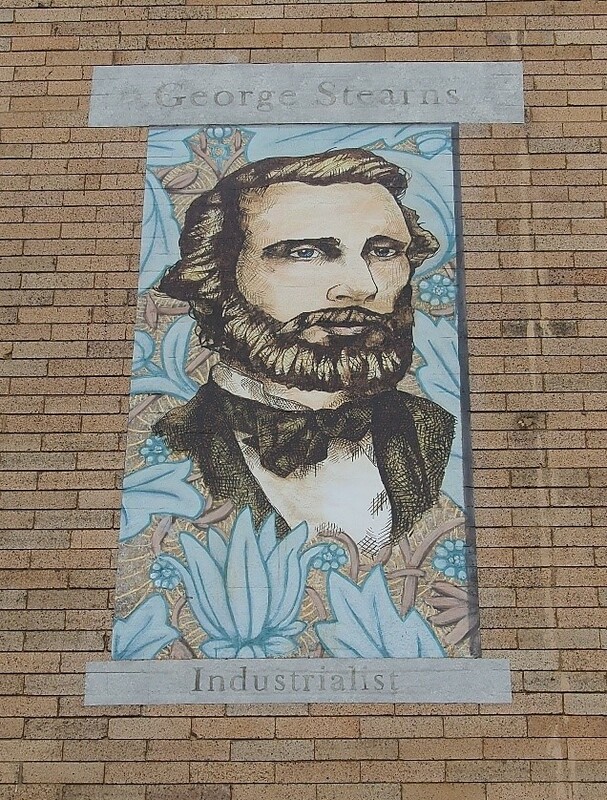 Located by the Gazebo in downtown Wyoming, it depicts notable historical figures from the Community. WAS funded this mural installation and worked together with the Community Improvement Corporation (CIC), the Wyoming City Council and the Wyoming Historical Society to make this vision a reality. The Wyoming Art Show has been an annual fixture in the Community since 1985. As much as the artists, attendees, and community love the Show each year, there is more than meets the eye to this Wyoming tradition. WAS has fostered a lasting endowment to the Community of Wyoming - for the love of Art! The Wyoming Art Show is one of Southwest Ohio Greater Cincinnati’s premier juried art shows. 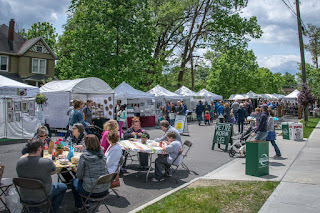 Each year on the third Sunday in May, over 125 regional artists are selected to participate in our booth sales and inside competition. More than $5,000 in professionally judged prizes, including Best of Show, are awarded. Make sure to stop by the Imagination Station, featuring free art activities for the kids! The Starving Artist Cafe features local food offerings. Please plan to bring your family and friends to the Art Show on Sunday, May 20, from 11:00 a.m. to 5:00 p.m. on Worthington Avenue. The Wyoming Art Show is entirely funded by the gifts of generous donors and artist entry fees. 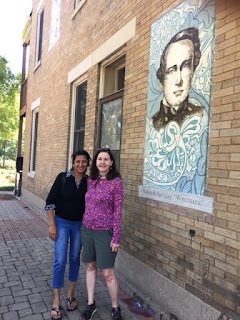 Subhadra Suresh and Judy Carter, visionaries of the mural for The Windows of Wyoming project in downtown Wyoming, stand by Colonel Robert Reily, who named Wyoming in 1861. 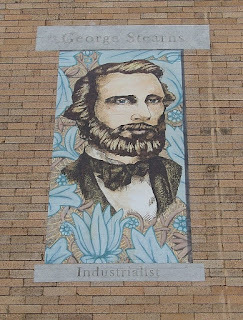 A part of The Windows of Wyoming project, spearheaded and funded by the Wyoming Art Show, depicts a prominent figure in Wyoming history, George Stearns. 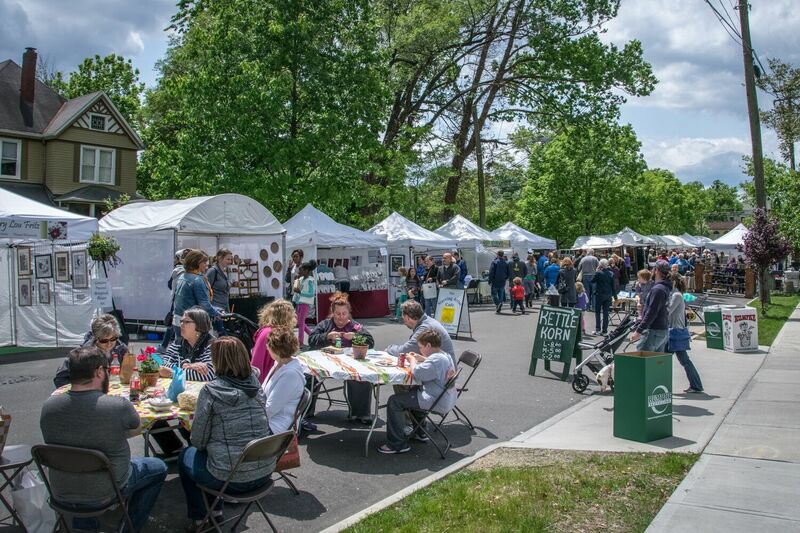 The annual Wyoming Art Show is on Sunday, May 20 on Worthington Avenue. Wyoming Art Show donated to the Wyoming High School art department which enabled the students to create this glass sculpture located in the courtyard at the school.